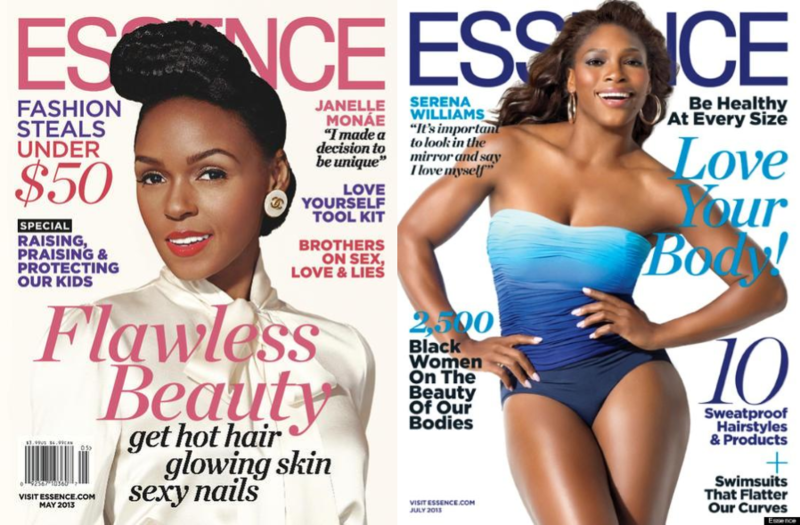 What is the future of Essence magazine? I don’t read magazines like I used to. Inside my apartment, I still own back copies of my favorite eras for particular magazines: early Nylon magazine, when it was still downtown New York and establishing its voice and style; late aughts Dazed and Confused, when the separation between print and online was more present than ever; nearly every issue of the beautifully-formed Stop Smiling. What is less likely to be found are new issues of current magazine brands. I will purchase an issue if I am invested in the cover subject (such as Kerry Washington for Elle), but that push to own tangible magazines dulled quickly after finishing college. What does it mean to be a black woman? This is a question I often ask on this blog. It is a question that many new publications and forms of media are also trying to ask. But one publication that has always engaged this question and the concerns built along with it is Essence magazine. I grew up reading my mother’s issues of Essence. There was the period in my early childhood when I read it because I was interested in reading anything I could put my hands on. Later, there was the period in which I actually appreciated and needed what Essence was selling: the perspective, reflections of, and information culled for the average black woman. Entering puberty meant realizing that there was not one world, but multiple worlds. My world would not be the more pleasant one. But as I grew older, I didn’t transition into a regular Essence reader. Along the way, the magazine began to feel isolating and outdated. I still appreciated their beauty reviews, and I certainly only disdained bits and pieces of the publication (namely, the influx of male columnists telling women everything they were doing wrong with their lives), but I no longer felt the pull toward their issues. Did I change or did Essence change? Maybe it was a mix of the two. If Essence was meant to be the magazine that I grew up into, why did the magazine feel like it could not (and would not) grow into the perspective of the contemporary black woman? Perhaps because the world in 2013 is one in which “the” contemporary black woman is a myth. There is no One in this world. Rather, there are a multitude of experiences and environments that shape the experiences of a black woman. No one magazine can be one thing for everybody. Now what many desire is writing that speaks to our individual, contemporary selves. When I think of the appeal of print, I think of packaged storytelling. The value in this form is the tangibleness of the magazine itself. Essence holds a special place in the heart of many black women because it is so unique and so needed. To have our stories literally physically within reach is a powerful and important reality. What we hold in our hands is the acknowledgement of our hopes and fears, our desires and questions. In a recent story from the New York Times, writer Tanzina Vega noted a disconnect between the magazine and younger audiences. Like many print publications, Essence suffers from an inability to connect as strongly to a younger population. According to a study by the Pew Research Center, traffic to the Essence Web site dropped 10 percent in 2012 from 2011, while traffic to some other sites geared to African-Americans, including BET Networks, MediaTakeOut and Bossip, increased. Essence executives emphasized the magazine’s digital reach, citing figures showing 60 percent growth in the number of Facebook fans the magazine has attracted in the last year and pointing to its 616,000 mobile users and 766,000 desktop users. But the magazine will have to work harder to attract the coveted online demographic group of 18- to 34-year-olds. Of the 870,000 unique visitors to site in June, 66 percent were women over 35, according to data from comScore. But what the Internet and online media provides is the possibility to engage far and wide and immediately. Anyone can strive to be the new voice for black women and as a reader, I can find those voices as quickly as possible. I often turn toward Tumblr users focusing on women of color such as Gradient Lair or Trill Wave Feminism. If I’m looking for a more traditional online publication, I can turn to Clutch. Essence has a strong online presence, but I don’t turn to it in the way that I turn to other websites. That immediacy is not there. That necessariness is not there. But it can be and it should be. If Essence is to succeed in the future, it must translate its print qualities to the web. Many of my favorite sites do just this, never acting inhibited by the force of the Internet and instead taking advantage of its white-space possibilities. Essence is packaged storytelling, month after month. But online it can be packaged storytelling day after day. It can be precise and thought out and clear in its purpose. So really, this is a study in what it has already done best.